10 years ago, I traveled through Turkey and, of course, also visited Cappadocia. The tourism industry seemed a little lost at that time. Not sure if it was the season, or the general state of affairs. 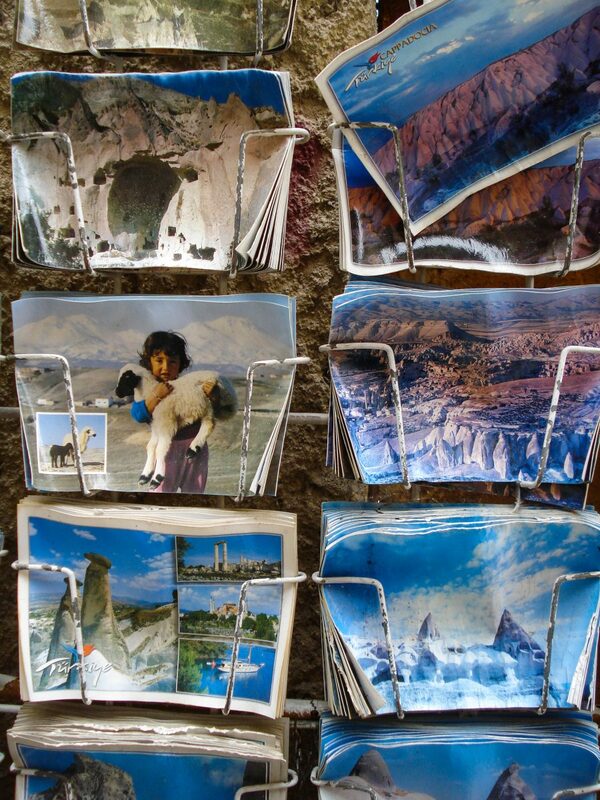 But to me these postcards outside a tourist shop reflected the state of confusion I felt. This entry was posted in travel and tagged cappadocia, turkey on 08/03/2018 by fromthepolder.